Thank you for visiting e4Hats Fullerton Hat Cap and Embroidery Store. Visit our e4Hats.com's Offline Store located in Fullerton, California. You’ll find a great deal of the same quality products found on our website. You can try out our fantastic headwear in person to check fits and styles. Our offline store is located at 701 S. Harbor in Fullerton California. 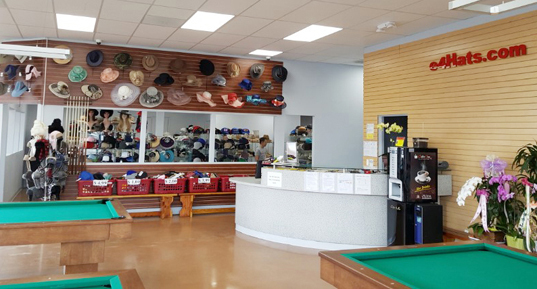 We carry all kinds of hats and caps like beanies, trooper hats, ivy caps, newsboy caps, fedoras, baseball caps, cowboy hats and more. You will also find accessories like head wraps and bands, bandanas, gloves, scarves, ear muffs and much more! We also carry holiday and special event hats for every holiday or celebration. You’ll find Christmas, Halloween, costume, birthday, St. Patrick’s Day hats and so many more. 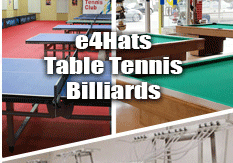 Whether you shop online or offline you are sure to find a hat to fit your life here at e4Hats.com. To serve you better, you can place an order online, and pick it up the next day at our offline store in Fullerton, CA. You MUST call or email us informing us that you wish to pick up your order. We also advise that you mention “pick up” in the comment box while checking out online. Save yourself the hassle of shipping, order today, enjoy tomorrow. We update our inventory every season, so come over to our Fullerton offline store and check out our great seasonal headwear. Not all of the items from our website are available at our store. Give us a call ahead of time so we can put together the items you are looking for. Don’t wait for shipping. Get the perfect hat right now. Please review our store sales policy below for information on how to enjoy your time looking through our selections. You're also welcome to Contact Us for more information or if you have questions regarding our policy. Payment Methods We accept Visa, MasterCard, Discover, American Express, check, and cash. Valid photo ID is required for all credit card and check payment. Sale Price Our retail sale prices are as shown + CA sales tax. Keeping the Hat Clean Please try on hats neatly and put it back to original location. Store Pickups Pickup is available for online order. Notify and confirm with us in advance prior to visiting. Show proof of purchase (i.e. order invoice) and photo I.D. Special Orders Special Orders (i.e. Embroidery, Wholesale, Bulk Orders) require 50% deposit in advance. Original proof of purchase required. All refunds will be made to the original method of payment. Refunds & Exchanges will not be accepted if our terms and conditions are not followed. Item must be unused and resealable condition. Some products are final and not returnable.